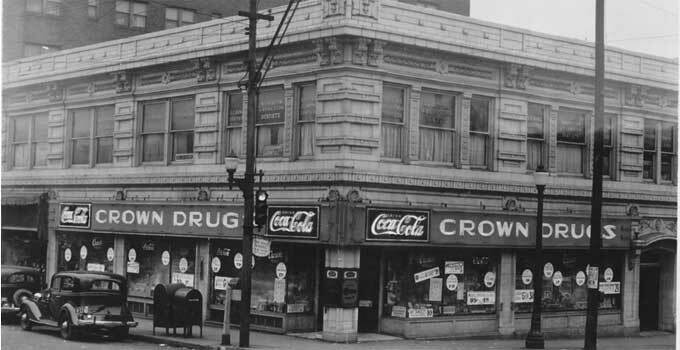 Kansas City history is preserved in a set of photos of every house and building in 1940, like this shot of 39th and Main. Photo courtesy MIssouri ValleySpecial Collections, Kansas City Public Library. Kansas City history was frozen in time in 1940, when local agencies took photos like this one for a public works project. The survey of all standing, taxable buildings in Kansas City was undertaken by the Jackson County Tax Assessors Office and other local agencies. The photos used to be housed at the Historic Preservation Commission, but in 2012 they were moved to Missouri Valley Special Collections at the downtown library. They’ve now been digitized by the library and are available online.